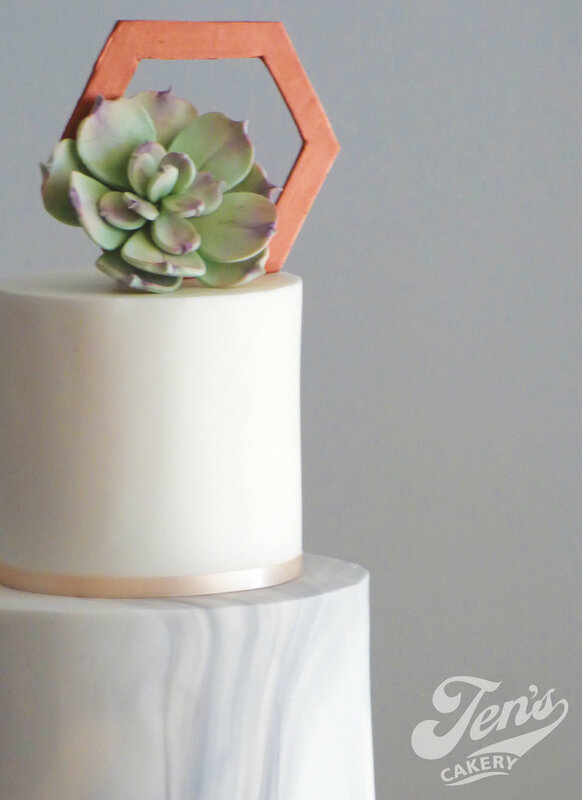 A wedding cae with copper sequins, marble and succulents. Can be made in your colour scheme and the metallic tier can be changed too - silver, gold, copper, rose gold, you name it! Like sequins? Check out Sequin, Fizz, Priscilla and Nina too!